A NEW ORCHESTRA IS BORN! “PYP offers . . . the unique concept of a training orchestra for emerging young professional musicians aged 22 to 32. The inaugural three-city tour features repertoire that will challenge and inspire the musicians and their audiences, opening with James MacMillan’s arrestingly dark memorial to Isobel Gowdie, followed by Sergei Prokofiev’s hypnotic and mischievous Violin Concerto No 2 and ending with Béla Bartók’s titanic virtuosic orchestral showpiece, the Concerto for Orchestra, which showcases individual instruments within the orchestra. “Boustany was joined by a team of prominent musicians who will mentor this first tour. 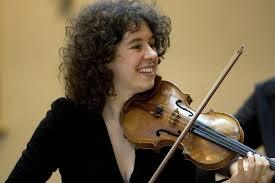 Stephanie Gonley, leader of the English Chamber Orchestra, combined her role as soloist with coaching the strings. Pre-eminent horn player Jonathan Williams worked with the brass, and the inspiring flautist and pedagogue Anna Noakes was the orchestra’s woodwind mentor. 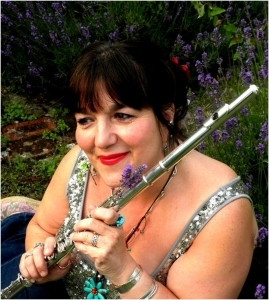 “Central to PYP’s mission is Boustany’s Method Called Love, which lies at the heart of the orchestra’s reason for existence, providing the nucleus for training young musicians, inspiring audiences and an extensive educational outreach programme, teaching children how to integrate love on their journey through life. PYP’s dynamic educational outreach projects will include Art/Poetry Competitions, in which the winning painting is used as artwork for PYP’s concert posters and the winning poem is read in concerts. There will also be an Emerging Musician Programme for a very promising A-level instrumentalist to join PYP for rehearsals and a concert. “Three times per year, tours comprising three concerts around the UK will be preceded by residencies in conjunction with various educational institutions, including coaching and mentoring with soloists and professionals from leading orchestras, inspirational workshops, discussions and improvisation sessions. Unlike some other similar orchestras, PYP will not require its members to put aside large chunks of time to participate in its activities; it will operate during college holiday periods, affording busy students and young professional musicians the flexibility to rehearse and tour, while maintaining their ongoing commitments. 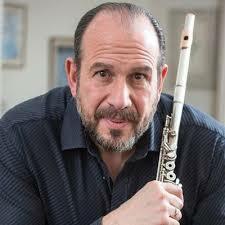 “Boustany’s experiences as a member of the European Union Youth Orchestra and principal flute of the Chamber Orchestra of Europe under the late Claudio Abbado left a deep influence and has inspired him to work closely with enthusiastic young musicians. With the imminent departure of the EUYO from London because of Brexit, UK students who used to account for a substantial number of their players might no longer be eligible to apply after this year. 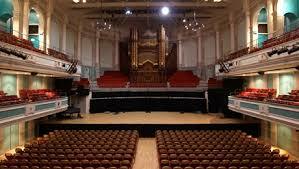 There are, perhaps, 50 or 60 professional or semi-professional symphony orchestras in the United Kingdom. It takes some courage, therefore, to launch a new one. Yet this is precisely what occurred this weekend when the Pro Youth Philharmonia, or PYP, led by Wissam Boustany, gave its inaugural tour. While the numbers in attendance may have disappointed, the response could not have been more enthusiastic. 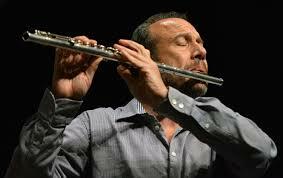 Mr. Boustany is best known as a flautist with an extensive international reputation. Who knew that his skills as a conductor were also so remarkable? * Well, judging by these performances, there are 60 young musicians who now understand his status, having experienced and benefited from his guidance. Together for a mere four days prior to the tour, this group melded together into a unit of great power and precision tackling some very difficult repertoire with performances that would have done justice to an orchestra which had been together for many years. Boustany has stated “I’m much more interested in waking my students up than defining their actual journey.” He applies this through his ‘Method Called Love’, the concept that Love is the single most powerful resource that can harness an individual’s full potential, and his international initiative ‘Towards Humanity’ which uses the inspirational qualities of music to raise awareness and funds for humanitarian initiatives. In this context PYP provides a broader agenda than similar ensembles. Nevertheless, it has certainly produced some rapid and impressive results. For its first tour the PYP pulled no punches vis-a-vis its repertoire. James MacMillan’s The Confession of Isobel Gowdie, Sergei Prokofiev’s Violin Concerto No 2, carried off with aplomb by soloist Stephanie Gonley, and Béla Bartók’s Concerto for Orchestra are uncompromising modern works, at times as hard to listen to as to perform. But these young artists bestowed a freshness and enthusiasm upon them that clearly demonstrated the value of adding a new orchestra to the UK roster. We look forward eagerly to their next tour.